Applicable to shirt, windbreaker, jeans, sportswear materials range from light to heavy. 1) Specially designed cylinder hanging arm suitable for sleeves, trousers parts' joint sewing, and elastic tensional materials like diving clothes, shoes, water proof clothes. 3) Delicate designed puller with differential feeding structure to ensure the normal sewing of materials which alternating in light and heavy part. 4) Three needles feed-off-arm Sewing Machine reduce the feeding quantity when piercing into the material by improving the feeding trajectory and prevent the needle from distraction. Reliable stitch convenient for curve line sewing. 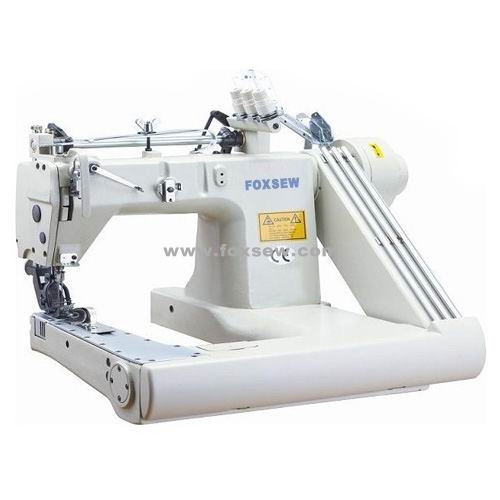 Looking for ideal Feed-off-the-Arm Sewing Machine Manufacturer & supplier ? We have a wide selection at great prices to help you get creative. All the Feed off the Arm Chainstitch Sewing Machine are quality guaranteed. We are China Origin Factory of Feed-off-the-Arm Chainstitcher. If you have any question, please feel free to contact us.